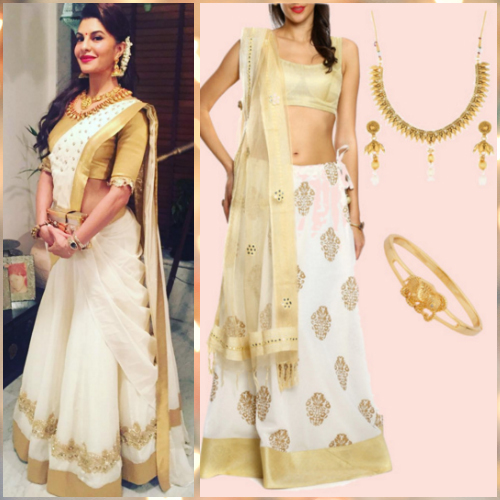 How To Get Jacqueline’s Beautiful Ethnic Look In Your Budget! 2. The Necklace And The Earrings! There is already a lot of shine and gold going on, and that’s why it makes sense to get a tiny kada or a bracelet to decorate your wrist. This way your hands don’t feel empty and your attire looks complete! 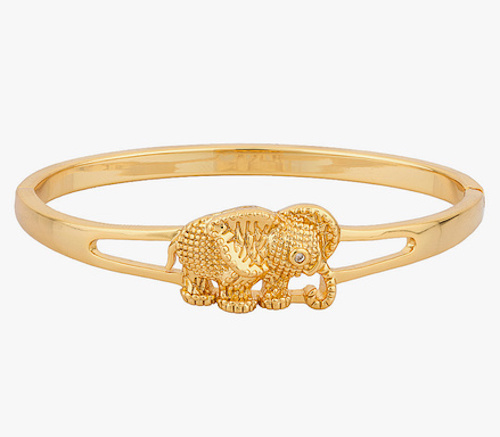 The cute elephant motif keeps in sync with the temple jewellery designs which depict animals and human figurines too. 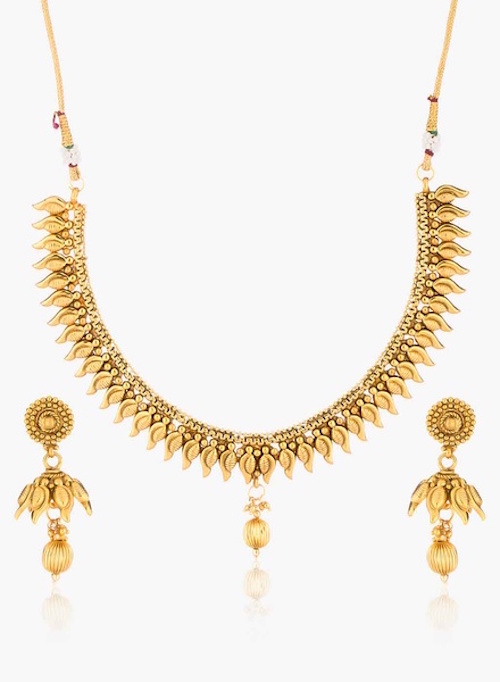 POPxo Recommends: Golden Alloy Kada (Rs. 377) Don’t forget the gajra hairstyle and the hint of red in the bindi and lipstick! You’re set to look like a diva yourself! 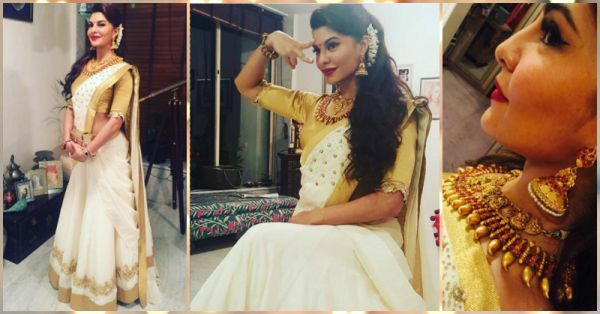 Featured Image: Jacqueline Fernandez on Instagram, Image 1 & Image 2 from Poornima Indrajith on Instagram HAVE A STORY IDEA FOR POPxo? If you want to hear about it, we can write about it! Just tell us your idea here! 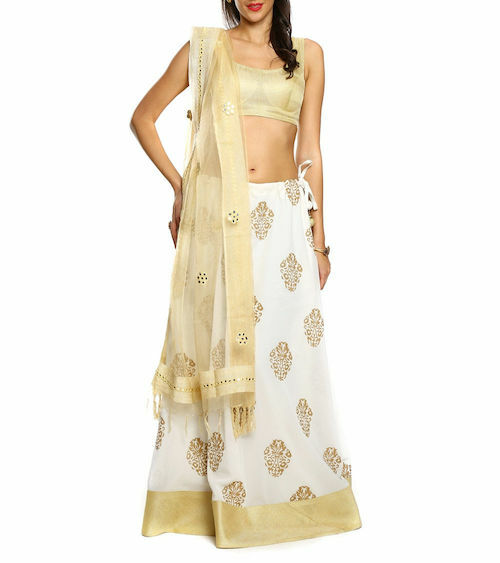 MUST READ: You Can Afford Deepika’s Outfits Now! THIS Is How! MUST READ: Would YOU Wear Kangana’s Outfit? It’s Fun, Quirky & Affordable!